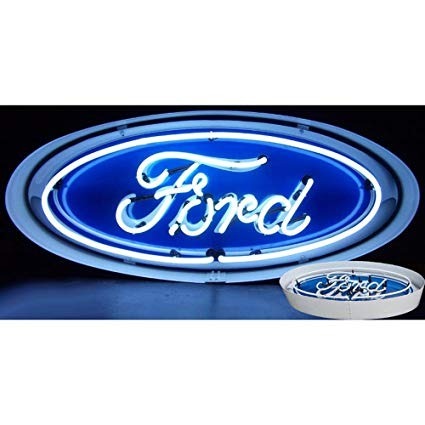 17" x 8" x 6" Ford Blue Oval in metal can. Hand blown Neon Tubing surrounded by a sturdy comercial-grade metal housing. Warm mesmerizing glow powered by industrial strength transformers. No assembly required.